India and Russia are set to negotiate a major multi-billion dollar defence deal on the sidelines of the BRICS summit. India and Russia are set to negotiate a major multi-billion dollar defence deal on the sidelines of the BRICS summit this week as the government of Narendra Modi looks to reestablish its military and defence relationship with Moscow and prevent the Kremlin from drifting into partnership with their primary regional rival Pakistan reports Indian newspaper The Financial Express. The negotiations would call for India to acquire 5 S-400 'Triumf' long-range air defence missile systems, Kamov-28 helicopters and upgraded models of the Sukhoi 30-MKI elite fighter jet with estimates valuing the possible defence dealing at $6 billion and with the Modi government reportedly looking to expedite the transaction as Russia looks to expand its cooperation with Pakistan. 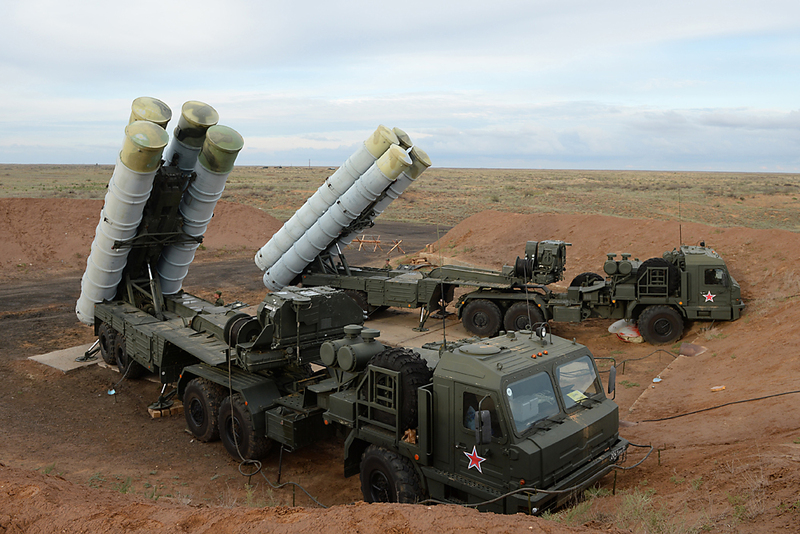 The S-400 missile system in particular has raised eyebrows among a number of NATO countries with the system capable of destroying missiles, drones, and incoming fighter jets within a range of 250 miles (400 km) with analysts speculating that the advanced anti-aircraft system renders the F-35 fighter jet stealth technology utterly useless – the vaunted aircraft that the US spent $1.5 trillion on developing. The move towards reasserting the defence relationship with Russia also plays favorably for Moscow with concern that New Delhi may be drifting deeper into the US-axis of influence and would be a major step following the collapse of a previous defence agreement due to differences on the percentage of work-share in research and development with India ever looking to expand its indigenous defence market. Russia and India may also be looking to come to an agreement on naval defence systems as well with The Financial Express reporting that New Delhi may lease an Akula-class submarine from Russia for $1.5 billion to support India’s only nuclear submarine, the INS Chakra. Washington in recent months has looked to cut off Russia’s defence cooperation with New Delhi with leading US defence contractors, including Lockheed Martin, establishing deals for India to take the lead on the construction of a number of top US fighter jets, but it seems that the Modi government seems to be favoring a focus on diversifying the country’s defence relationships.